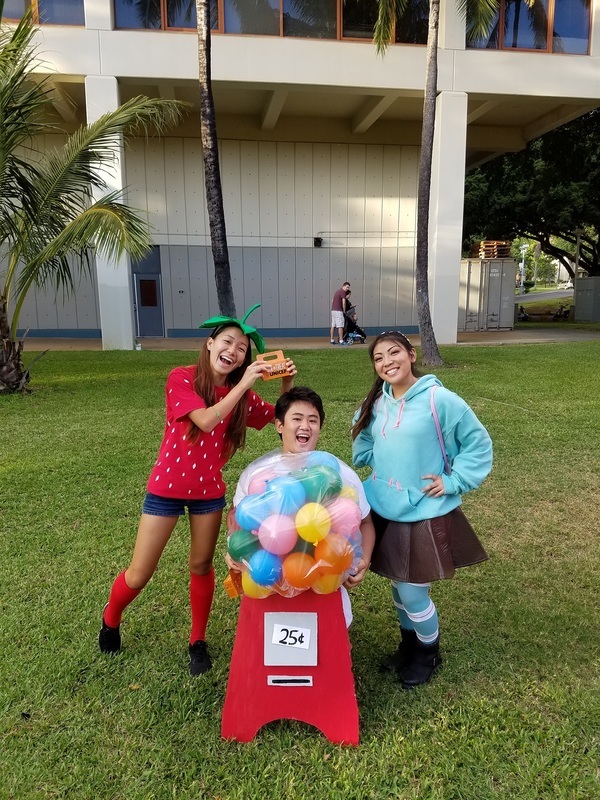 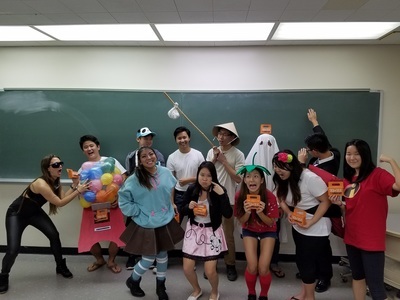 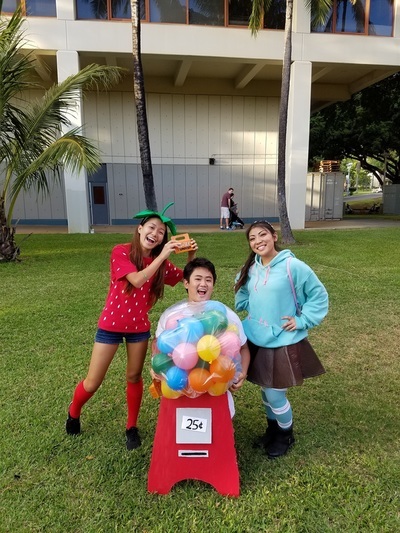 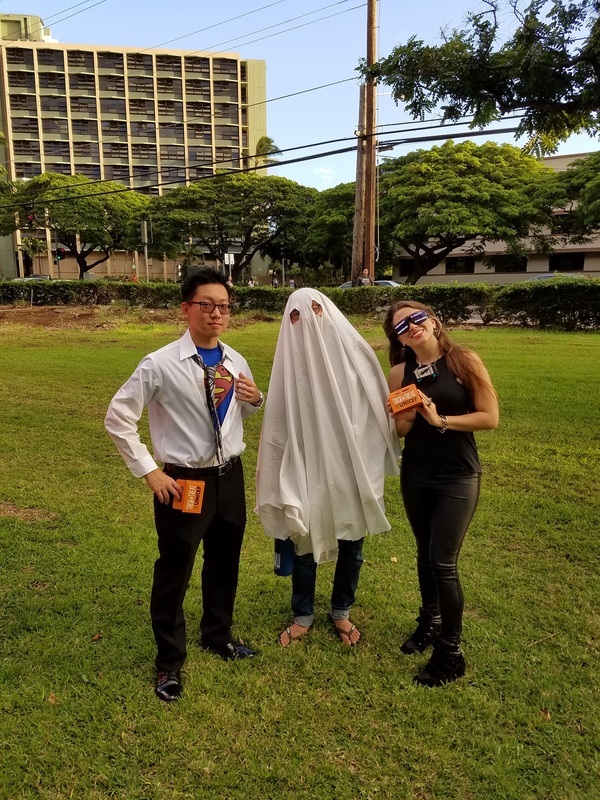 On October 31, 2016, HKN went Trick-or-Treating for UNICEF around Manoa. 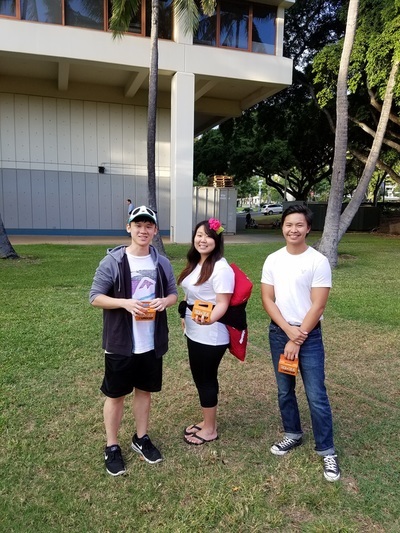 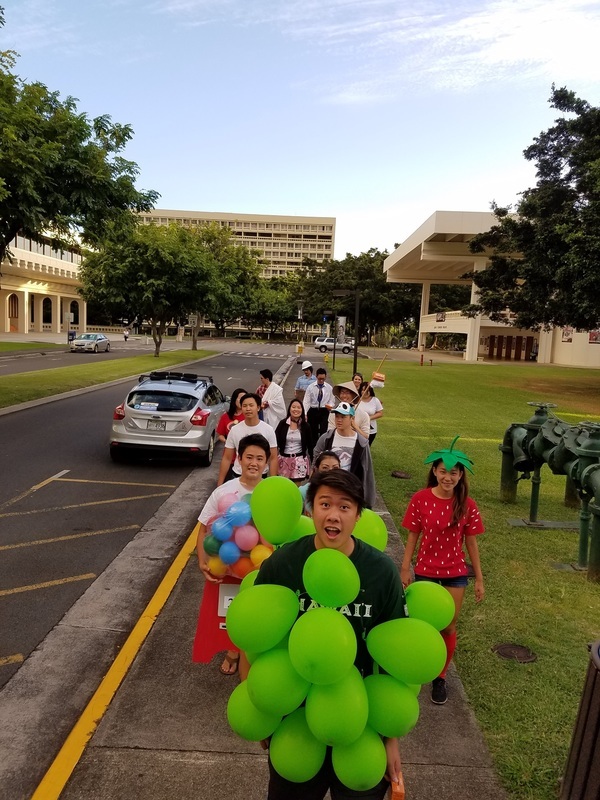 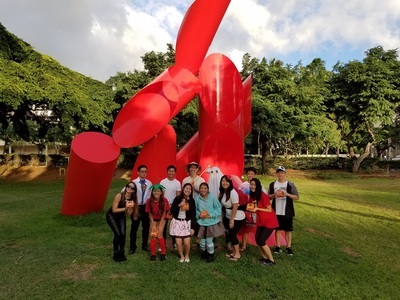 At 5:00pm, HKN pledges and officers met at Holmes Hall at the University of Hawaii at Manoa dressed in Halloween costumes. After taking a group picture, the students separated into groups. 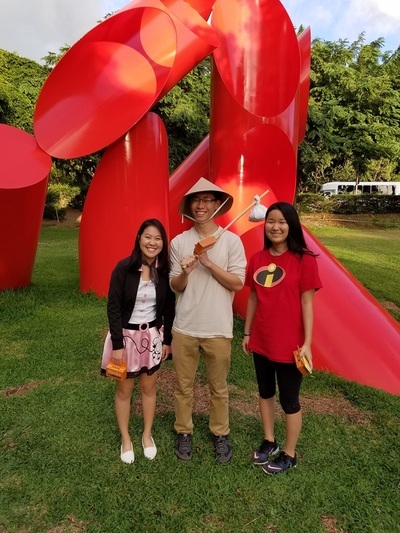 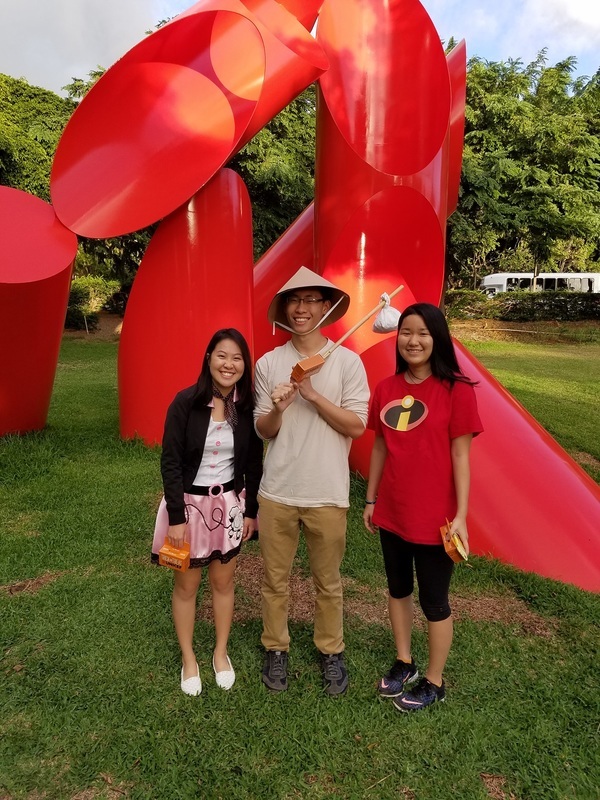 The students then walked into Manoa Valley and went door-to-door asking people for donations toward UNICEF. At 6:45pm, all of the students met back at Holmes Hall to count the money that they raised. 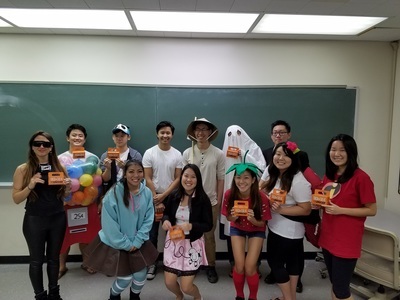 The group that raised the most money received a prize of two merits each and the second group received one merit each. 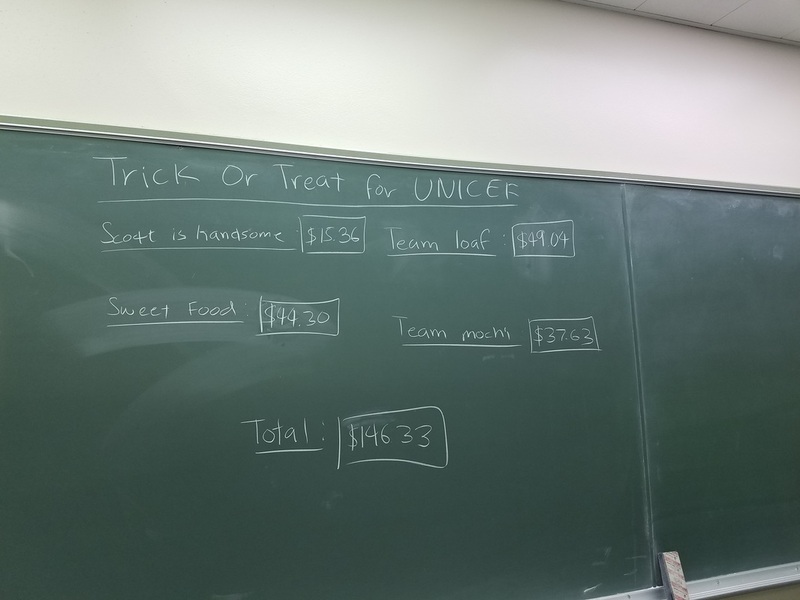 At the end of the meeting, HKN pledges and officers counted the total amount of money raised and congratulated each other on a job well done.